Explosions and fires often lead to devastating personal injuries, death, and destruction of property and livelihoods. They are shocking and overwhelming events. Victims need both immediate and long-term help, including help from experienced lawyers, to pick up the pieces and move toward recovery. At its most basic, California law allows victims of explosions and fires, including firefighters and rescuers, to recover for injuries, death, and property damage when the explosion or fire was caused by negligence. 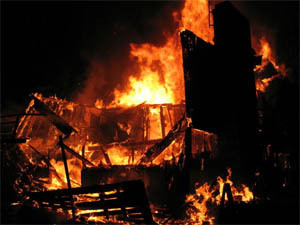 As we all know, the causes of explosions and fires can very often be traced back to human error – or corporate neglect – whether the cause of the explosion or fire be from a defective smoke detector or fire alarm, faulty wiring in a new house, a poorly designed and placed gas tank in a motor vehicle or negligent maintenance of public electric or gas utilities. Each of these negligent acts alone is enough to cause an explosion or fire or to create an environment where a minor fire becomes a catastrophic event. From a legal standpoint, explosion and fire accident claims involve a complicated, technical mix of federal and state laws and regulations and industry standards. From a factual standpoint, they are often caused by multiple acts and omissions of different parties, and highly specialized experts are required to prove the cause of the explosion or fire and the manner in which it could have been prevented. Getting to the bottom of what caused an explosion or fire, and who is and ought to be held accountable for the injuries and damages caused, is no small task. Although many lawyers claim to handle fire accident cases, victims of these accidents and their families need not just a good personal injury lawyer, but a law firm with the resources, experience, and personnel necessary to properly investigate and pursue the claim. Fiumara & Milligan Law, PC has successfully prosecuted some of the most noteworthy explosion and fire cases in recent decades. 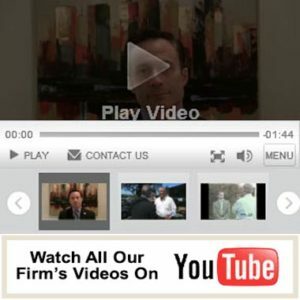 In addition to having the requisite resources and technical knowledge to aggressively pursue and litigate explosion and fire claims, the trial lawyers at Fiumara & Milligan Law, PC have worked with some of the leading national experts in the fields of explosion and fire prevention and cause and origin to prepare for what are very often complex and hard-fought cases. People and companies who cause explosions and fires usually have resources and insurers with resources to aggressively defend themselves. It is only by retaining a law firm like Fiumara & Milligan Law, PC with a proven track record in litigating fire and explosion cases, that a victim can hope to combat these defenses. At Fiumara & Milligan Law, PC we have built our record steadily in case after hard-fought case. motor vehicle fires caused by the negligence of vehicle manufacturers or repairers. Fires and explosions can seem to victims and their families to be random and unfortunate occurrences that can happen to anyone at any time. Answers can be elusive, but experienced trial attorneys can help victims find the answers. If you are the victim of an explosion or fire that you believe may have been caused by negligence, Fiumara & Milligan Law, PC can assist you, and know what needs to be done. Call us today at 707-571-8600 OR 415-492-4507 for a free case evaluation.